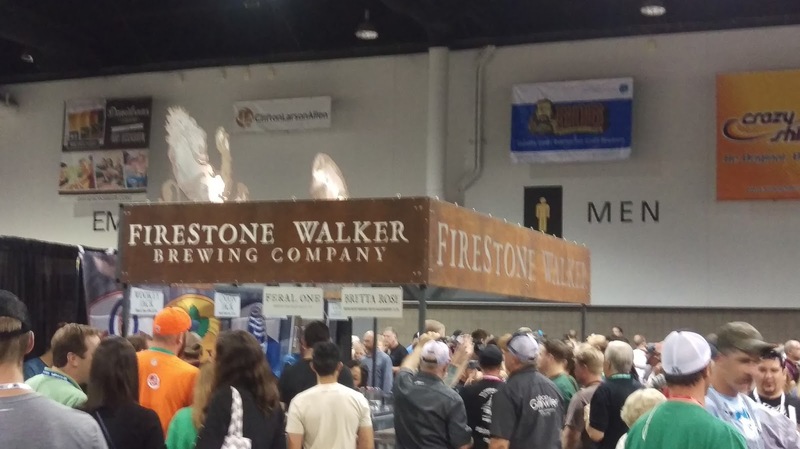 If you saw my social media feed over this past weekend, you know that I headed west to the Great American Beer Festival ("GABF") presented by the Brewers Association ("BA") at the Colorado Convention Center in downtown Denver. 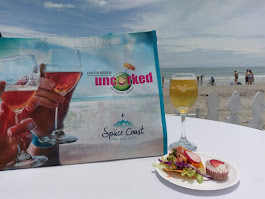 In its 29th year, the festival consisted of four sessions from Thursday to Saturday, and I attended two: Thursday opening night and Saturday afternoon members session. But, first things first. 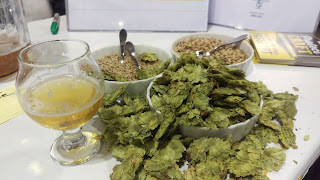 In addition to the beer tasting, there was also a behind-the-scenes beer competition going on. 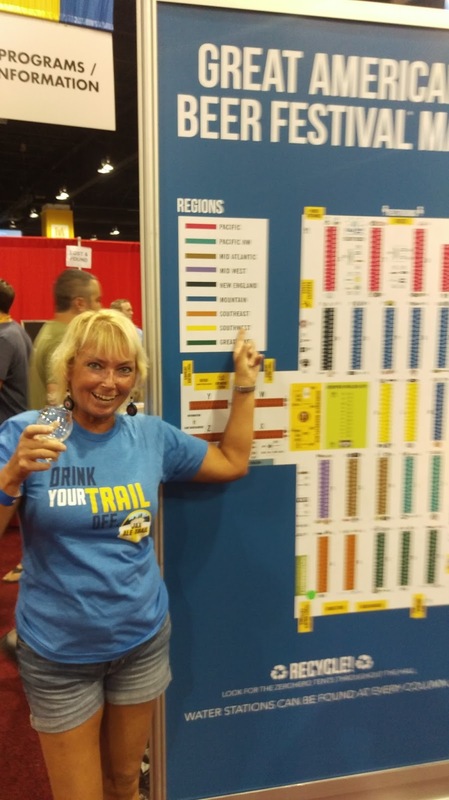 In fact, 6,647 beers from 1,552 breweries in all 50 states and D.C. were judged! The winners were announced Saturday morning, and the event was broadcast live via internet stream. 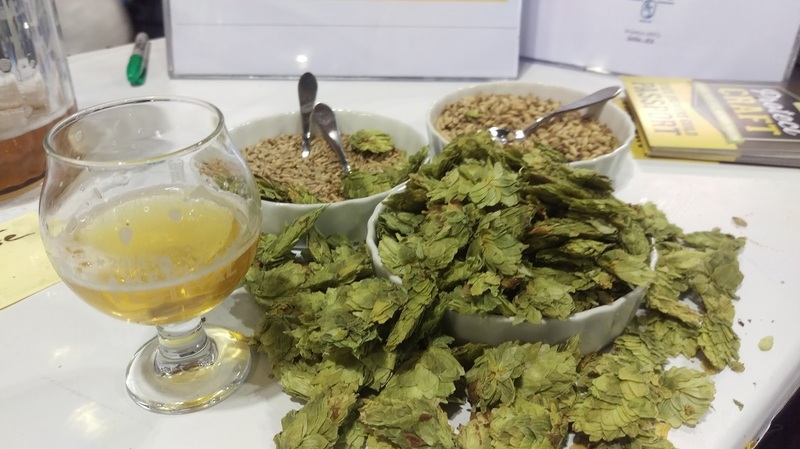 All said, the judging panel of 242 beer experts from 15 countries, including the U.S.and 155 volunteers awarded 275 medals in 92 beer categories, including 145 styles. 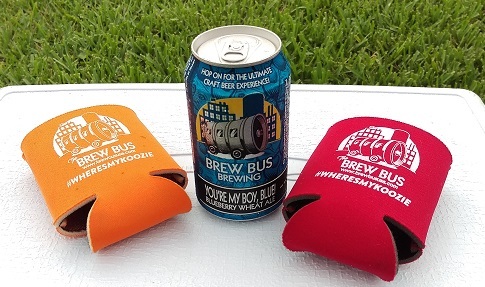 Before heading to the Saturday session, I watched the live awards broadcast, and I about hit the ceiling when it was announced that Brew Bus Brewing (based in Tampa) won a Silver Medal for its "You're My Boy, Blue" blueberry wheat ale in the Fruit Wheat Beer category! 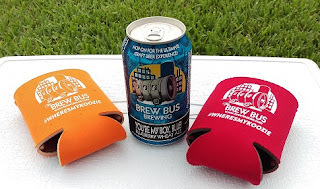 You have to understand that I work for The Brew Bus-Jacksonville, and I was overcome with excitement. I think my social media feed went just a bit ballistic. 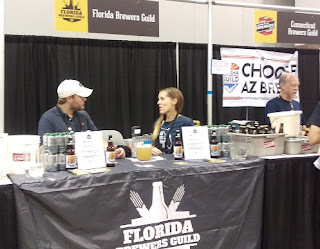 Later, while in line to enter the Saturday session, I learned that Aardwolf Brewing (from Jacksonville) won a Bronze Medal in the Belgian-Style Blonde Ale or Pale Ale category for its "Belgian Style Pale Ale." 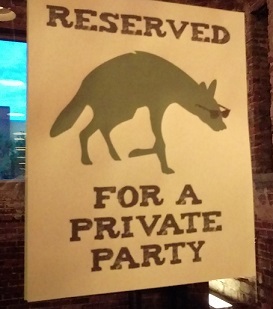 Of course, I'm quite familiar with Aardwolf and this beer, as it seems that I'm there with the Brew Bus every other weekend! Aardwolf is a very popular stop on the tour, and the Belgian Style Pale Ale is a good, solid beer. 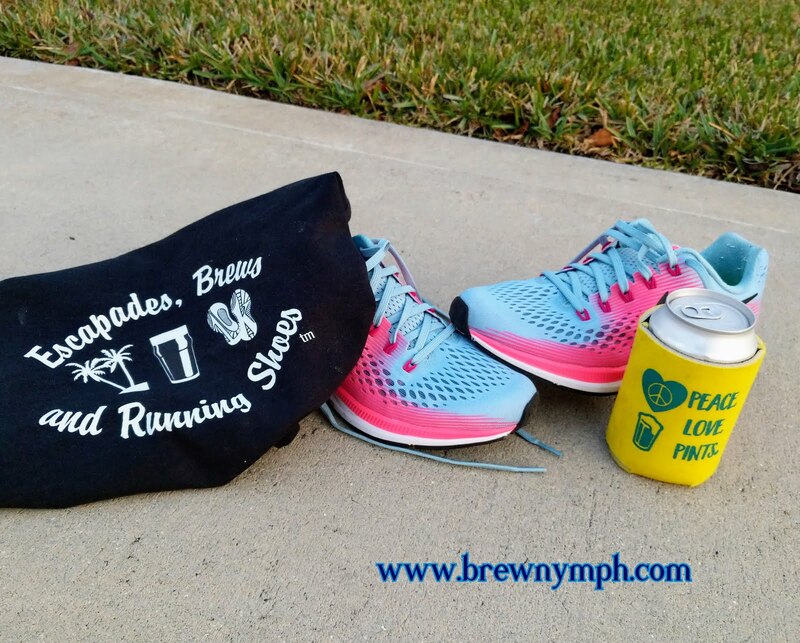 Congratulations to all the winners, and especially to Brew Bus Brewing and Aardwolf Brewing on these medals -- no small task! 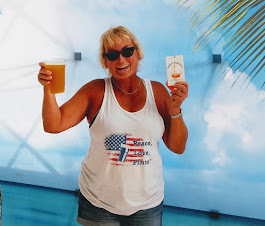 And, I'll be happy to pour both of these beers for you on one of our Brew Bus-Jacksonville tours! Hey, mark your calendars now: October 6-8, 2016 is next year's GABF. GABF is the pre-eminent beer festival in the country. It's one of those "bucket list" or "wish list" things that you hope you get to do one day. It's a sell-out every year (couldn't get tickets last year), so, when the tickets went on sale this past July and I had a member presale code, I figured I'd give it a try. Whaddaya know -- scored tickets to opening night Thursday session and members Saturday afternoon session. Tickets sold out in about an hour after going on sale, so I'd say there were a few beer enthusiasts looking to attend. And, then the planning started....hotel, air flight, rental car. 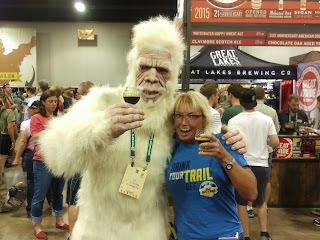 About a week or so before the festival, it started getting real -- yes, I was actually going to GABF for the first time! The GABF website is full of awesome information, including the festival map and a list of breweries. 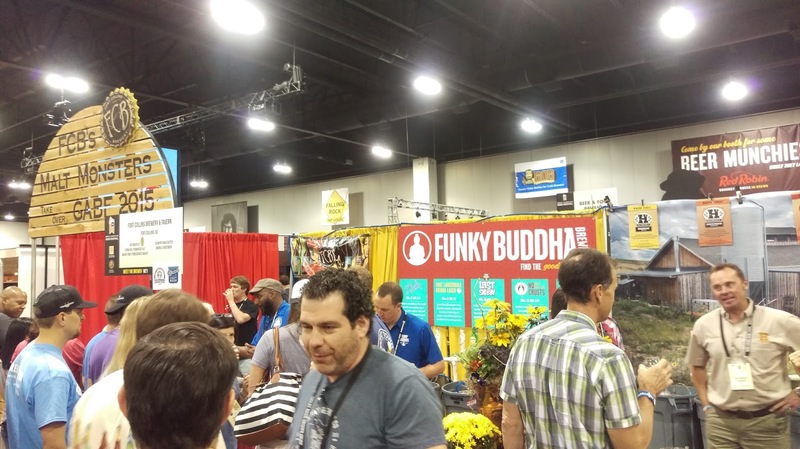 There's also a "MyGABF app." 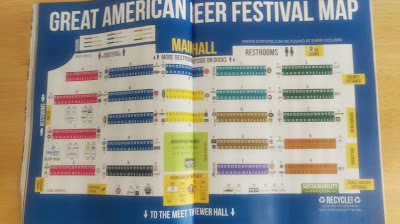 Although the breweries were identified for a while, a list of the available beers was released the day before the Festival. 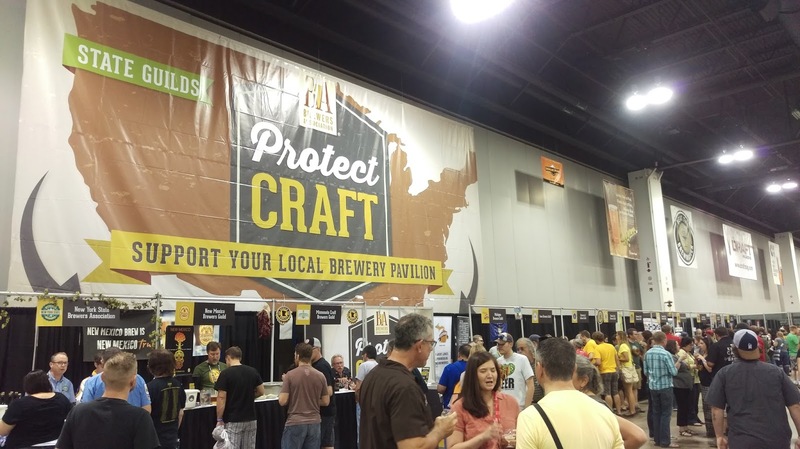 Twenty Florida breweries were in attendance. 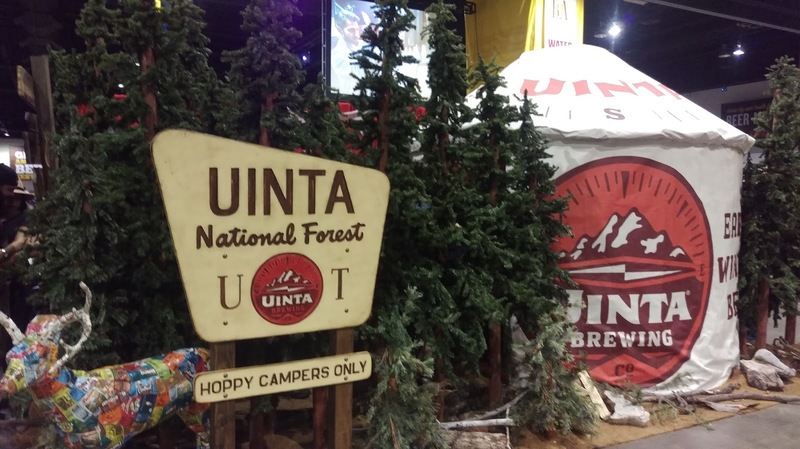 If you don't believe how massive this event is, check out these stats: 750 breweries at the festival hall; 3800 different beers served; 60,000 attendees; 3400 volunteers. So, how do you prepare for this? Study the map and get familiar with the festival layout and schedule of events ahead of time. 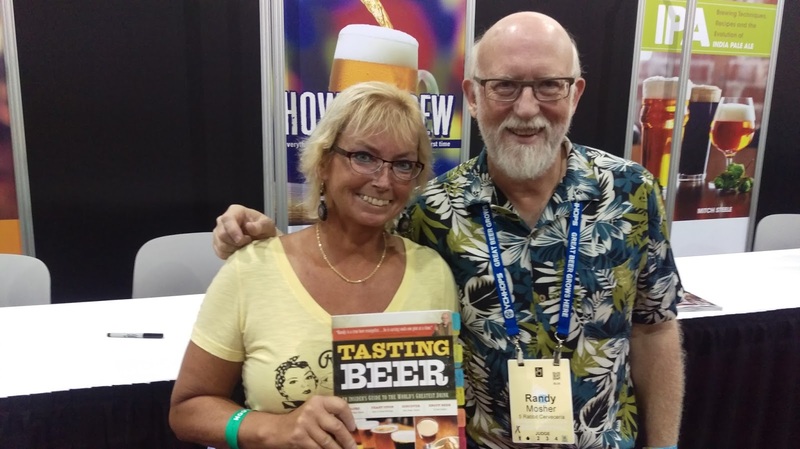 Review the schedule for the book signings at the Beer Geek Bookstore. Make sure that you have something to eat ahead of time, and make sure that you drink plenty of water during the sessions. 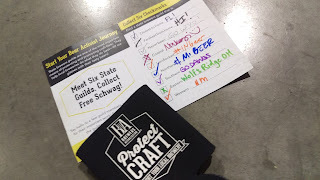 I had a list of breweries that I wanted to target, and one particular book signing (more on that below). It moved rather smoothly, and you could hear the welcoming bagpipes playing just inside. 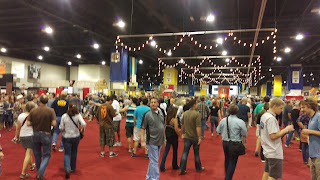 And, the 2015 GABF was underway! Once inside, the enormity of the festival was apparent. I had a printed map in my pocket, and the regions were well-marked by overhead signage. I wanted to start with the Midwest (Indiana/Chicago) since that's where I'm from, but that didn't work. I got there eventually. 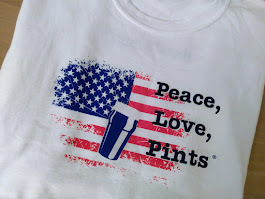 Usually my plan is to start with blonde ales, kolsches, helles lagers, and I pretty much stuck to that.....for a while. Guess they wanted to Get Funky (Last Snow and more). I sampled beers from everywhere during both sessions, and I especially liked talking to the Chicago brewers. The guys from Gino's Brewing Co. (downtown Chicago) were fun (and I liked that beer!) My Untappd checkins really added up. 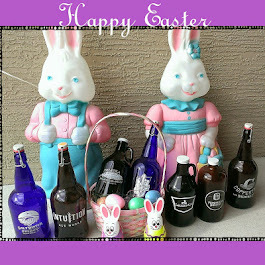 There was just so much beer! Randy Mosher, author of "Tasting Beer"
The highlight of my Thursday night, however, was meeting Randy Mosher, author of Tasting Beer, at the Bookstore. I knew ahead of time (pre-planned!) when he would be there, and I had brought my copy of the book with me. This book was instrumental in helping me study for -- and pass -- the Certified Cicerone exam this summer, and it's been through the study-wringer: tabs and marked up. I showed it to Randy, and he even took a photo of me! Very cool talking with him. He autographed my book, and that was pretty cool! 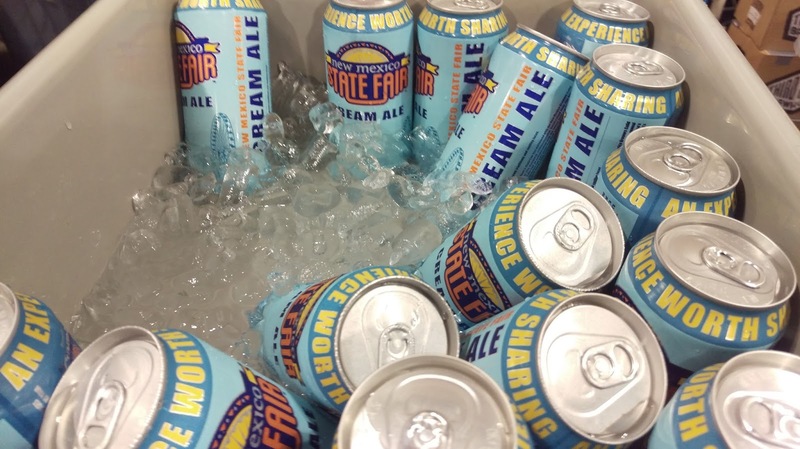 If you're planning on studying for the Certified Cicerone exam, this one's a must-read. Thanks, Randy! That was pretty much Day 1 at GABF! I did some other things on Friday (more on that later), and then before you knew it, it was Saturday! 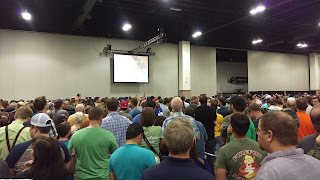 Like I said above, I watched the live stream of the GABF winners until it was time to get going. 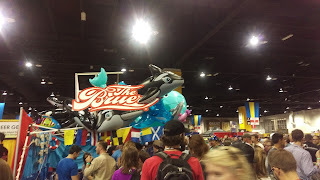 I stayed at a hotel a little over a mile from the convention center. Although I walked it Thursday, I opted for Uber on Saturday...and that was another first...my first Uber! There was a GABF code, and the ride worked out great. It seemed like there were many more attendees waiting to get in for the Saturday afternoon session, but once the doors opened, it didn't take long to get in the Festival Hall. The plan for today? Visit state brewers guilds, and drink more beer! 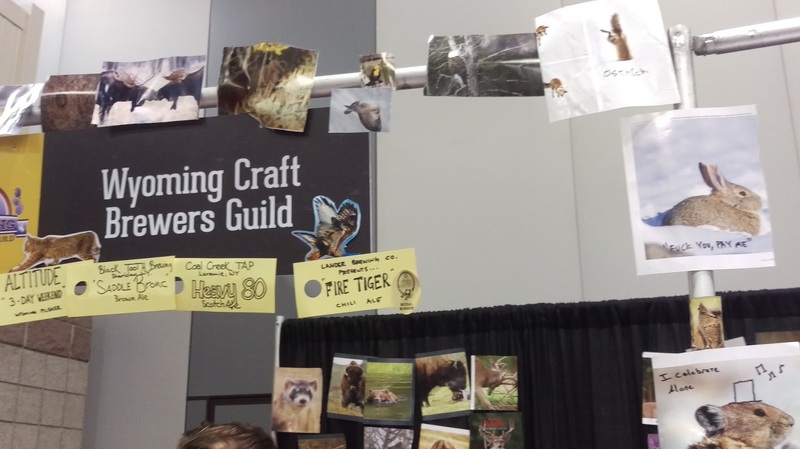 The Brewers' Guilds were set up along a wall in the "Meet the Brewer Hall." 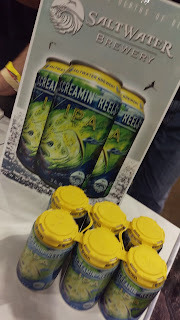 Not only could you talk to the reps, but they were pouring some beers that were not available in the Main Hall. 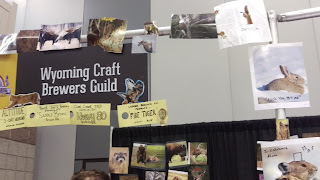 And, they did a really cool thing with a Brewers Guild Passport. 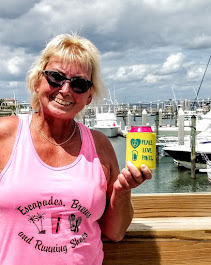 Check-in to at least six, and you got a koozie! I talked to a bunch of the Guild reps, and got my passport stamped by nine, including closest (Florida) and farthest (Hawaii). 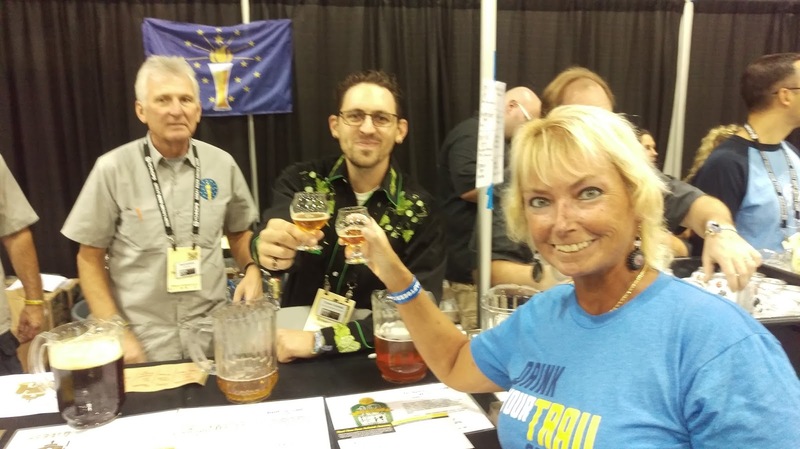 It was fun talking to the rep from Indiana, and I got another Three Floyds beer there, too! Wyoming had some interesting animal photos...and captions! And, if you got a little turned around, there were signs to help you find your way. 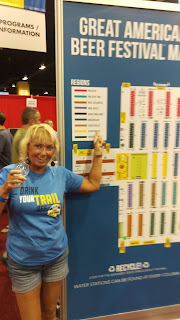 Hey, that's a Jax Ale Trail shirt! Caught up with Saltwater Brewery from Delray! And, then, seemingly "just like that," it was last call for the afternoon session. Where did the time go? 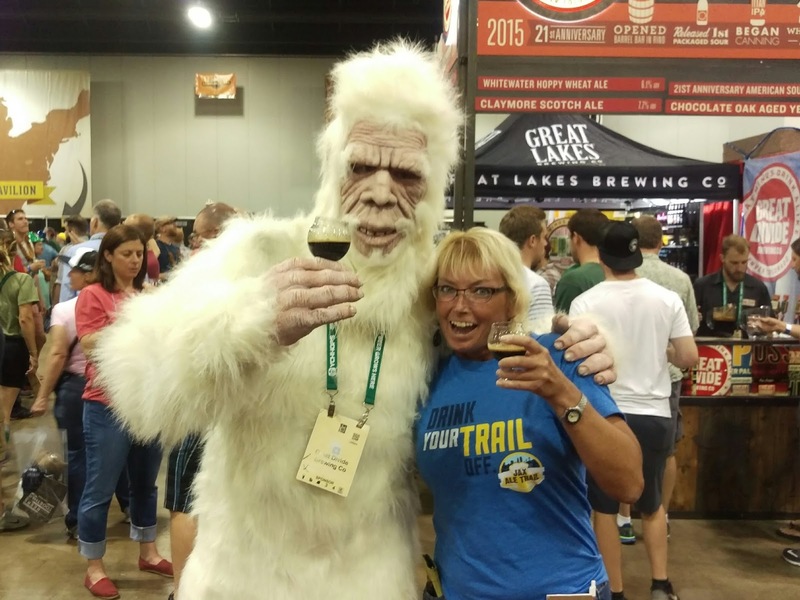 GABF is definitely something you need to do.....at least once. Hmmmm, October 6-8, 2016, eh? That's a wrap this time around, but I did a lot more in Denver. Made some visits on Thursday and Friday. And, hey, the airport was an experience on Sunday! More on that later. 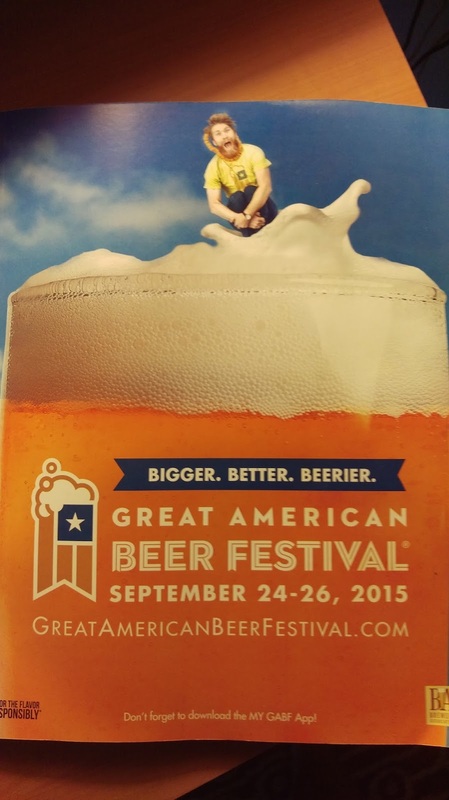 Congratulations again to Brew Bus Brewing and Aardwolf Brewing. 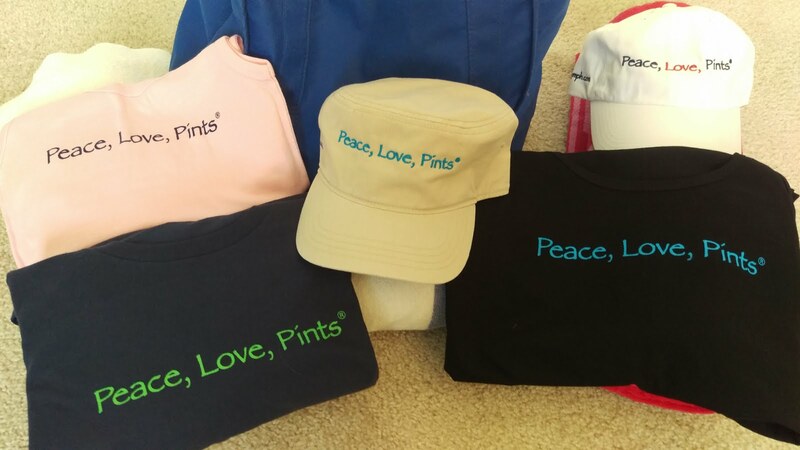 Hope to see you out there at an event, bar, restaurant, or wherever the beer takes us.